Smaller – lighter – better! 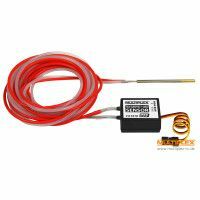 Use the "GPS" satellite positioning system to display on your transmitter important data relating to your model. 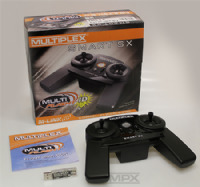 The MULTIPLEX GPS V2 sensor is fitted with a new aerial with optimised reception, a smaller, lighter case with mounting lugs, and its current drain is lower. Telemetry data such as the model's speed over the ground, altitude, the model's range or the distance already covered can be measured and displayed. The sensor can also generate the direction of flight with different angular information. Naturally you can set up individual warning thresholds on the GPS, as well as the display of various minimum, maximum or average values. • Distance (3D) in metres (m)The MULTIPLEX GPS V2 sensor is compatible with all telemetry-capable M-LINK transmitters / receivers and systems with MSB support. 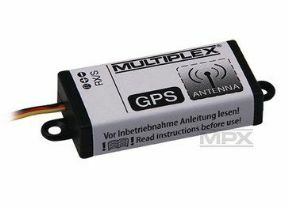 The GPS V2 is simple and convenient to configure to your personal preferences using the MULTImate (# 8 2094) or the PC program MULTIPLEX Launcher**. ** PC program "MULTIPLEX Launcher" available free of charge under Downloads. Required items for this: USB PC lead, UNI (# 8 5149).